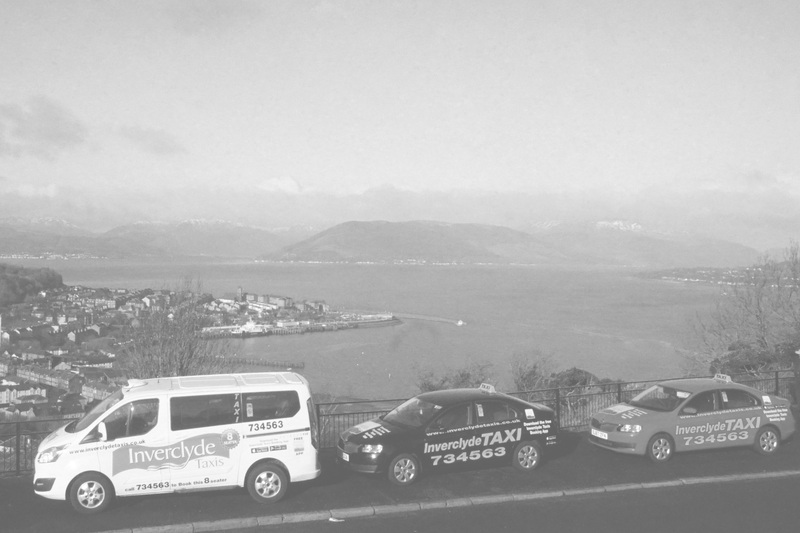 Inverclyde Taxis has been in operation since 1977. Much has changed on the technological front since then, but the basic premise of our business remains the same – excellence in customer service. Our clients remain the key focus of our entire operation. 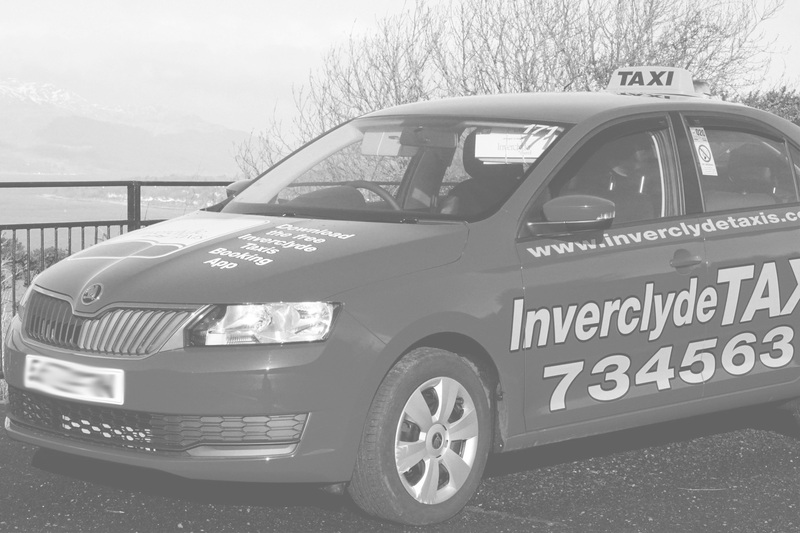 We remain committed to getting our passengers where they need to be, on time, safely and in comfort. In the last 12 months, we have invested heavily to ensure that we continue to exceed the expectations of our large client base of business clients and the general public. 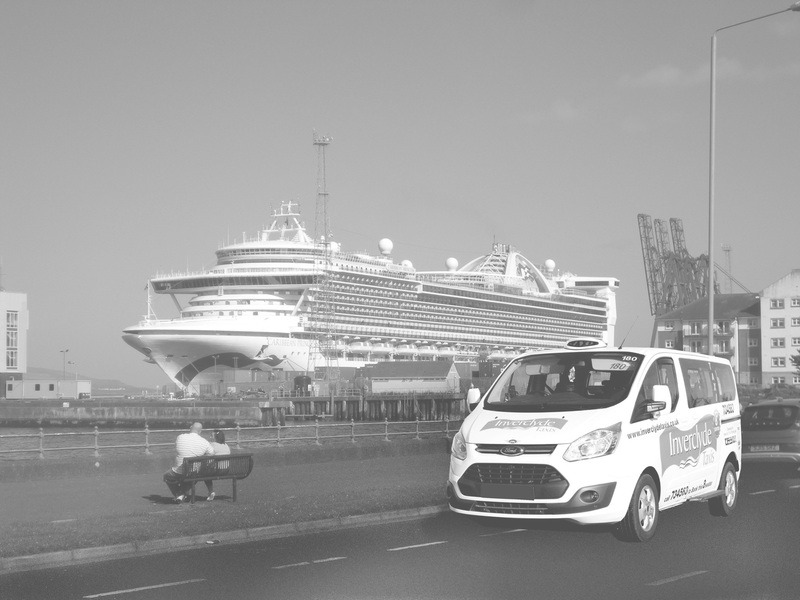 The entire fleet is fitted with state-of-the-art technology to ensure that drivers are assigned the most suitable job, dependant upon their location and vehicle type. 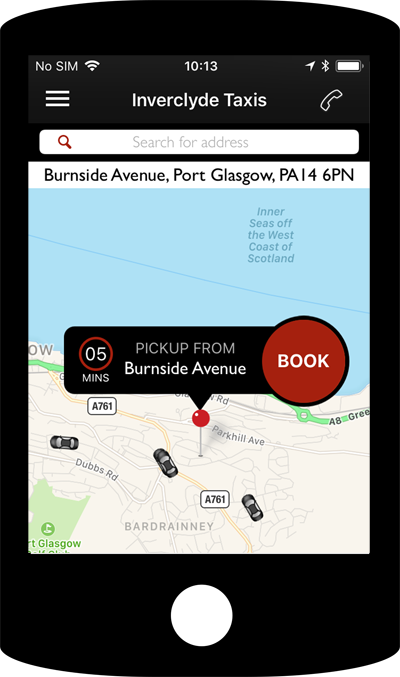 Both drivers and customer service agents have received comprehensive training on the new system, allowing them to quickly and easily get a ‘real time’ overview of supply and demand on their shift. All this of course, is done with the customer in mind – getting you from A to B without any unnecessary glitches or delays. An automated booking system, offered to all clients using domestic landlines, simplifies the booking process for all callers – both business clients and the general public. 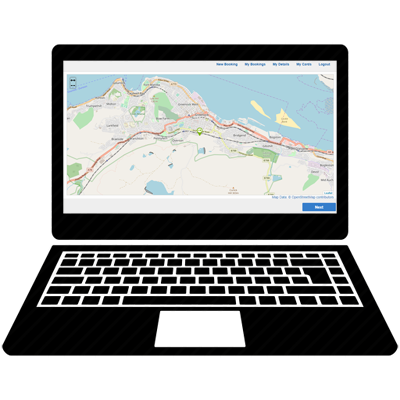 The system recognises a caller’s telephone number and automatically dispatches the closest car to the registered address. Uptake of this free service enhancement since its launch, has been extremely encouraging with over 50% of all passengers using the system. 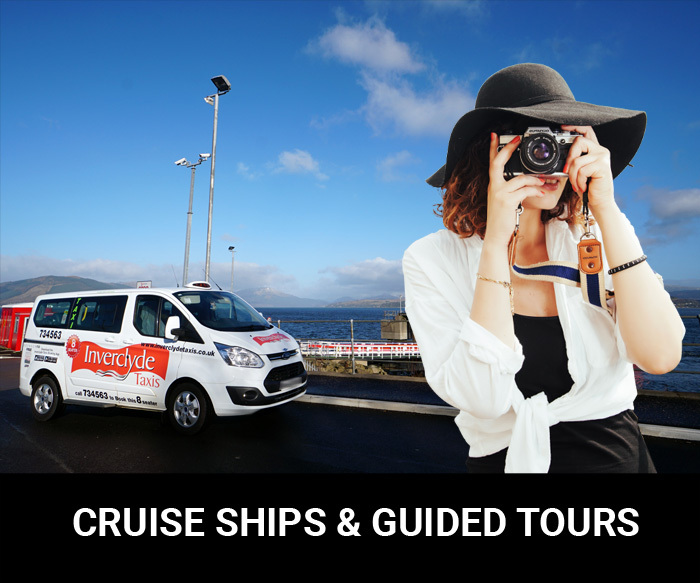 Our friendly and knowledgeable customer service staff are on-hand 24/7 at our modern call centre facility in Greenock to assist with any bookings and queries. And with a very low staff turnover rate, many of our regular clients are on first name terms with our office staff. 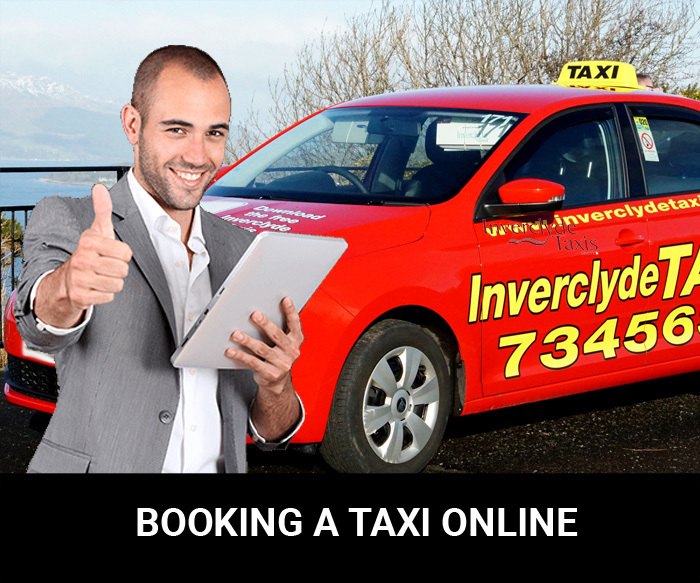 The most recent technological edition to our booking options is the Inverclyde Taxi App. 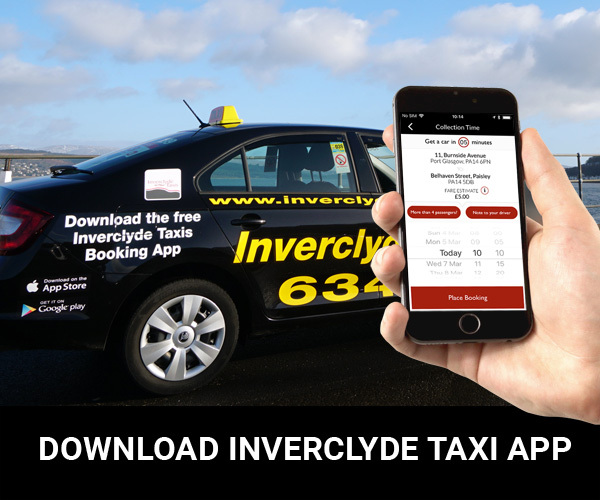 Download our very own app to your smart phone, and order or book your taxi at a touch of a button.